Illyriad is a free-to-play, massively-multiplayer online real-time strategy game (MMORTS), set in a vast fantasy world with countries and factions. Build, trade or battle with thousands of other players. Choose your own path to success. All in your browser, with no downloads. "...solid and deep MMO play experience. This is certainly a sweeping, epic strategy game..."
"...fantastic browser-based city-builder... a ton of depth, a great community... play at your own pace... perfect gameplay... absolutely wonderful Lore... the map is incredible... reminds me of Lord of the Rings or Game of Thrones - those great big epic stories." Humans are probably the most evenly balanced of the races. They are not imbued with superlative strengths or weaknesses in offence or defence but can boast a strong cavalry. They also have a rich cultural history of trade and diplomatic machinations. Detractors might call it cunning or guile - and humans certainly excel in these areas. Players who choose to play an elf will find plenty of similar company. Elves have a long relationship with the arcane mysteries of Illyriad and valued for their speed and proficiency with a bow. They also make excellent thieves and spies, thanks to their ability to get in and out of trouble quickly. Dwarves are the master manipulators of stone. Their city buildings are legendarily intricate, and they often muster sturdy swordsmen. 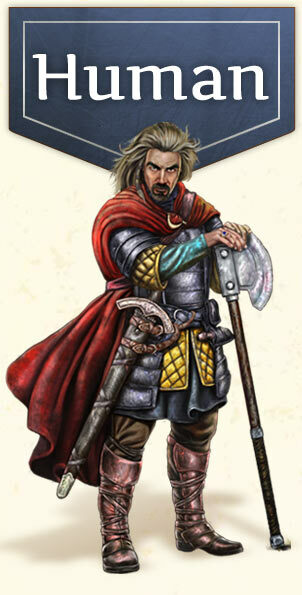 Dwarves are a strong choice for those who want to rely on an infantry-based fight. Orcs see themselves as the rightful ruling race in Illyriad, but will deal with the other races quite happily - so long as it is to their advantage to do so. Fierce, strong and brave in numbers, Orcs excel in waging an aggressive playstyle.